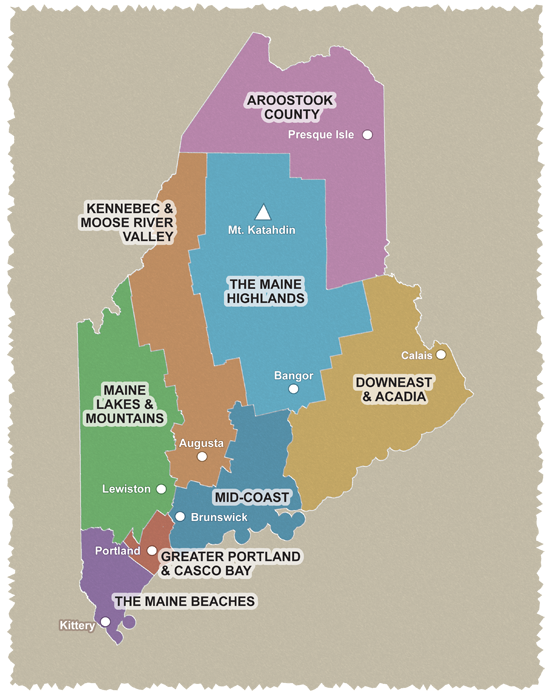 Settled by French-Acadians in the 19th century, the Fish River Scenic Byway, one of the topmost of Maine's scenic byways, traverses the rolling lands between Portage and Fort Kent. The landscape provides travelers with unparalleled views of wildflower meadows, Eagle Lake and Maine's highest peak, Mt. Katahdin. Much of the route is forested, and wildlife abounds, including eagles, moose, landlocked salmon, brook trout and beaver. Camping, fishing, hiking, hunting and snowmobiling are popular activities here, with wilderness camps lining the shores of the area's lakes. Route 11 is a primary north-south transportation corridor connecting Aroostook County, Maine, and New Brunswick, Canada. The byway's northern gateway is at historic Fort Kent, where in 1839, the U.S. constructed a blockhouse to protect its claim on the northern woods. This region retains a strong Acadian influence in its food and cultural traditions.